Flying over the Andes Mountains. Article first published Wine Times Hong Kong January 20 2017. Recently I spent a month in Chile and Argentina thanks to a scholarship I received from the Hong Kong International Wine and Spirits Competition upon my completion of the WSET Diploma in 2015. While in Chile I was fortunate to visit most of the established wine regions across the country, including Cachapoal, Colchagua, Maipo, Curicó, Maule, Aconcagua, Casablanca Valley and the Itata Valley. Part of my trip was organised with BrandAbout SA while the rest of the trip comprised of private appointments. As Chile has matured within the international wine community the focus has been on how best to broaden the expectation of wine styles and quality. One mechanism employed to do this has been to enhance the classification system by updating the Chilean Wine Law to include a focus on east-west orientation. To that effect, in 2012 three principal Areas were added, they were the Costa, the Entre Cordilleras and the Andes. For many winemakers this refinement to the Wine Law plays a critical role in helping better communicate the rich diversity of styles produced in Chile. It is hoped that an increased recognition of these terms will enhance consumer understanding of how each Area has a direct impact on the final product. Speaking with Brett Jackson, Chief Winemaker at Valdivieso in Curicó, he tells me that the east-west focus makes more sense than a north-south focus for the wines he produces. It is the Coastal Ranges and positioning within this Area that is central in determining the style of wine being produced. If, for example, the vines are in the Entre Cordilleras Area, that is between the Costal Ranges and the Andes, then the protection afforded from cool ocean breezes and from cool mountain air at the foothills of the Andes allows for a longer ripening season. This is particularly useful for the late ripening Carménère and other dark skinned varieties. Alternatively, if the vines are planted in the Costa Area on the western side of the Coastal Ranges and exposed to the Pacific Ocean, the fruit produced is, as expected, ideal for crisp fresh white wines or cool climate expressions of Syrah. It therefore hoped that by including the Area classification on the label producers would be able to better communicate these geographical influences and the resultant styles. 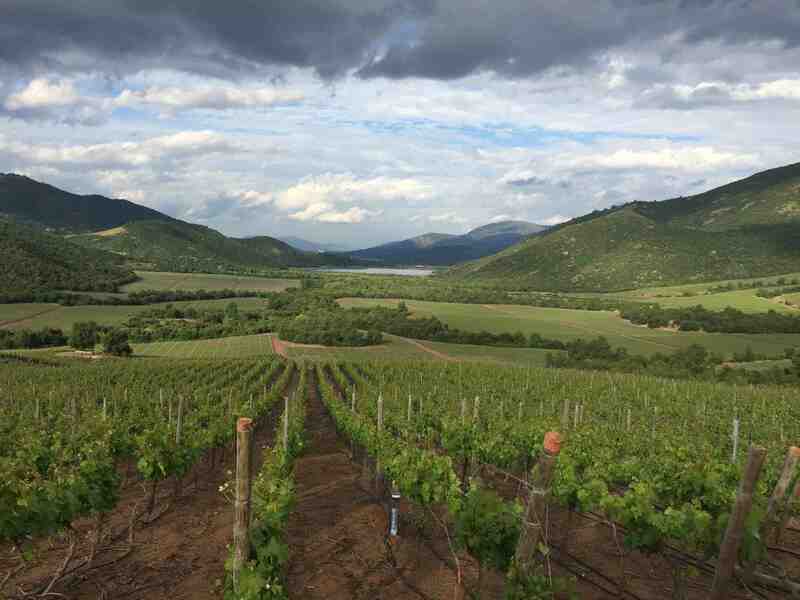 At Viña Luis Filipe Edwards in Colchagua, the discussion again turned to the way in which the Area classification functions. It is the language for winemakers to distinguish style and typicity, allowing the lens to refocus on the unique character of a specific site. Like Jackson at Valdivieso, Cristian Rojas Chief Winemaker at LFE tells me that it is the inclusion of the Area classification on the label and the proximity to these geographical features that provides the truest indication of the final wine. The challenge still remains, he acknowledged, to educate consumers ensuring familiarity with the terms. Complementing the concept of Area classification is the in-depth soil studies undertaken by many mid- to large-sized producers. 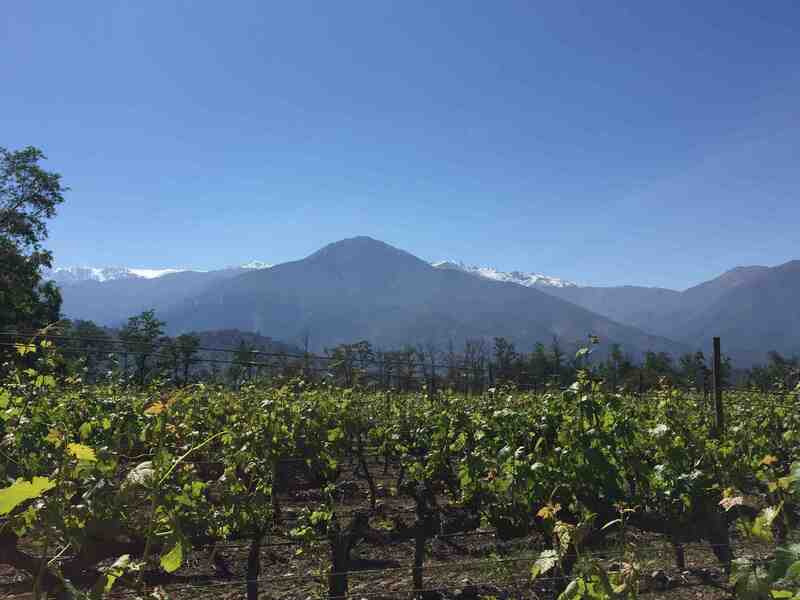 Of the two mountain ranges, the Andes Mountains are the youngest and the colluvium washed down from the mountains plays a key role in grape selection for many vineyards. Chief Winemaker at Viña Perez Cruz, Germán Lyon tells me that the vineyards in Maipo at the foothills of the Andes Mountains are mostly planted to Cabernet Sauvignon. This decision was driven by the high gravel content of the soils washed down from the Andes. Extensive soil analysis has also been used by a number of different producers to not only determine vineyard location but also as a pest control mechanism. Cristián Vallejo, Chief Winemaker at Viña Vik in Millahue explained that the 6,000 calicatas or soil pits dug prior to planting at Viña Vik together with the subsequent soil analysis helped determine where nematode infestation potential was at its lowest and ultimately where the vines would be planted on this expansive property. One final point highlighted during my trip relates to the cost of labour. Historically labour has been comparatively cheap, affording many producers the opportunity of manually undertaking vineyard tasks, such as pruning and harvesting. Recent changes within the industry have seen the cost of labour rise in addition to increased competition from other agricultural industries; for example, in the Central Valley it is the cherry industry that provides the greatest competition for winemakers at harvest time. The wages for picking cherries are considerably higher than for grapes and with harvest times coinciding this has created a logistics challenge for many wineries. If possible, some estates have moved to employing a skeleton team all year round that is boosted in numbers during harvest while others have looked to mechanisation. Both methods however, require significant financial investment. As Chile continues to develop its reputation within the global wine community, it is tools such as the refinement of domestic Wine Law, in-depth soil studies and an ability to adapt to a fast maturing domestic industry that will give longevity to its position as a serious wine-producing nation.